How to Write an Opera. If you have experience as a composer or librettist, combining your musical skills into a formal opera can be a rewarding challenge. Whether you aim to write a formal opera for the stage or just have fun with this form of musical theater, here's a list of things you'll need to include in your opera. 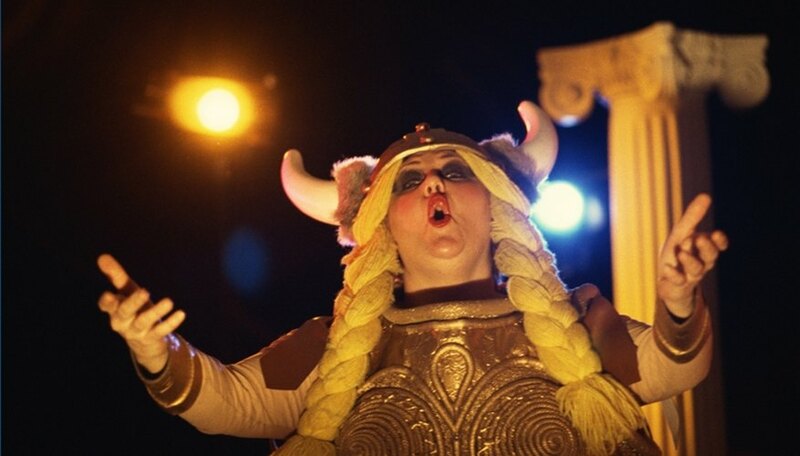 Think of your opera as a stage play set to music. Your dialog will be sung instead of spoken. Study successful operas, from "Madame Butterfly" to "Aida" to "The Pirates of Penzance." Look and listen to the elements that appeal to you before you write your own opera. Structure your opera. Most operas contain two acts, and more complicated stories have three or four acts. Pace your storyline as you would with a play or film. The first act sets up the action and establishes the characters and their relationship to each other. The second act brings the characters' goals and conflicts to a climax and the third act resolves them. Write your lyrics, or libretto. An opera's libretto and music can be written separately and then combined or written in one stream of consciousness effort. Keep in mind the musical instruments and style you want to use, and the vocal skills of the singers in your theater company. Compose the music. Modern opera may feature anything from a rock band sound to a full symphonic orchestra depending on the tone of the story, the setting and the vocalists. Combine all these elements, and consider costumes, props and the size and acoustics of the theater where the performance will initially take place. You may have to change some of the details for the first performance and experiment with different sets and costumes.